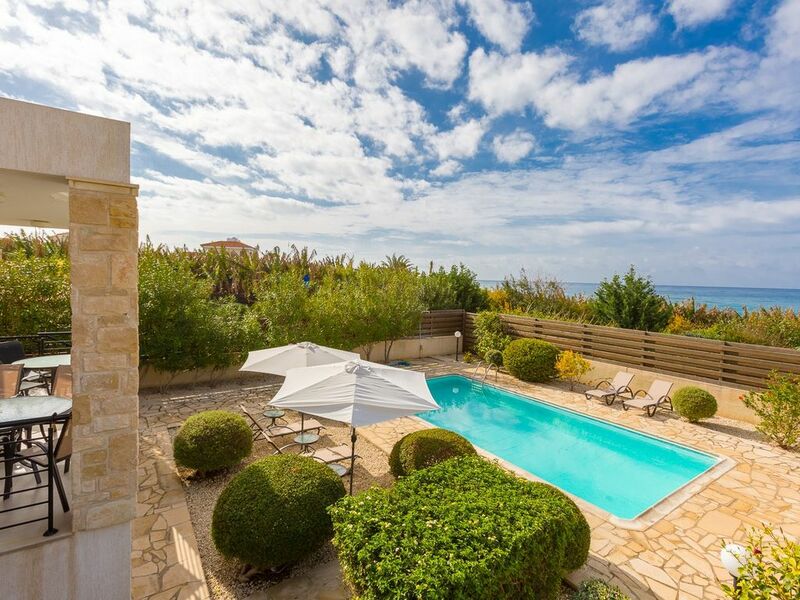 Villa Felice ligt in Road to Coral Bay, Cyprus. Onze vakantie woning is geschikt voor maximaal 8 personen. Villa Felice heeft 5 slaapkamers met airconditioning. De villa is geschikt voor maximaal 8 personen. The house would be exceptional if a few things had not been missing. Lovely holiday, property and the garden/pool area well maintained. This was a girls trip Holiday and did we had a fantastic time. Very clean, modernize Villa with so much space. The lovely outdoor garden and pool were a plus for us. The town offered a lot to do and yes great food too. Highly recommend this. Our time in Villa Felice was exceptional. The villa is extremely spacious on the inside (the large and fully equipped kitchen was a great bonus) and the outside has a resort feel to it. The modern and newly updated spaces really made us feel like we were in our home away from home. The location is also amazing as its so close to amazing spots. We will definitely return and highly recommend Villa Felice! Had a brilliant stay in Villa Felice we loved the location of the villa and the sea views and sunset views were amazing. Layout and size of villa were outstanding and villa was lovely and clean on arrival. Asked if we could get a later checkout on day of departure and this was arranged free of charge which was fantastic. Very private & quiet location with with lovely garden and pool area. We would definitely recommend Villa Felice and would have no hesitation in returning and using Agni Travel again. Many thanks for a wonderful stay. Really good. Great Service. Had a few issues with finding English language TV for kids. Thought more English channels would be available, Not major, but worth mentioning.